The Coffee Bean is offering new flavored Americanos for a limited time and will be discounting Hazelnut Americanos and Mexican Chocolate for $2 for a small on January 14, 2016, from 2 to 6 PM. 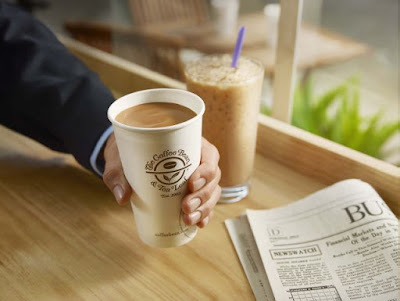 An Americano is basically espresso shots mixed with hot water and The Coffee Bean is offering them in a few customizable flavors including Hazelnut, Vanilla, and Mocha through Sunday, March 6, 2016. The coffee chain has also brought back their Mexican Chocolate flavor permanently. The $2 deal runs on Thursday, January 14, 2016, from 2 to 6 PM and is good on any small (12 oz.) Mexican Chocolate Latte, Mexican Chocolate Ice Blended, Mexican Hot Chocolate, Hazelnut Americano, or Iced Hazelnut Americano at participating locations.